On the 9th of May, we will experience an amazing event in the transit of Mercury. In light of the event’s rarity, good preparation is a must. The right equipment, to follow the event and avoid damage to your eyes, is the topic of the day. Mercury cannot be observed without a telescope or binoculars, since it is far too small. The planet will obscure only .004% of the entire Sun. It’s apparent diameter is only 12″ (arcseconds) on the scale. We need to mount a solar filter onto the objective lens of our telescope, which can be crafted with a special foil or can be bought as a complete set. 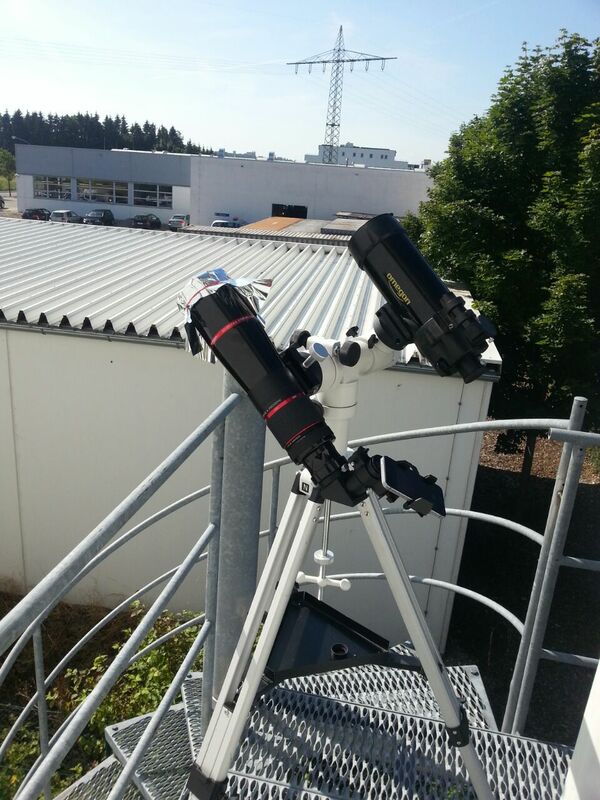 This way, you have a professional solution for your telescope on hand. Of course, the filters at astroshop.eu are safe and certified. Warning: Don’t use your Universe2go to look into the Sun. 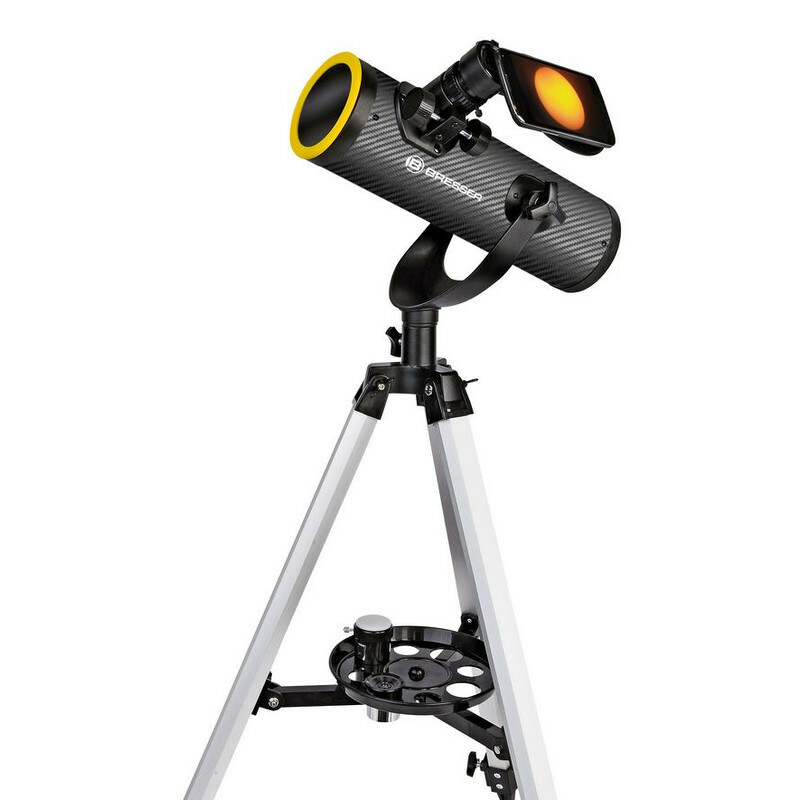 A perfect beginner’s telescope for such a task is the Bresser Solarix Telescope, with which you can get started even without previous knowledge. A reasonably cheap and good possibility to use your own telescope for solar observations is using an Omegon Solar Filter. The filters will be sent out in good time prior to the transit. The transit of Mercury is indeed a seldom event, so wouldn’t it be great to capture a couple images, right? The good news is solar photography is certainly no magic and quite easy to learn, especially when dealing with planetary transits. In order to photograph with a DSLR, you will need nothing more than a T2-ring for your camera model, a focal adapter and of course a filter. Set your camera to an ISO value between 100 and 200. Use precision focus and select, if possible, the MLU (mirror lock-up) on your camera. It is best to use a cabel-connected or radio remote. Test several different exposures, until you have found the optimal setting. Additionally, setting your camera to RAW format is also a good idea, so that you can edit your photos more freely afterwards. Side note: the solar filters from Baader in the images below are, with precision design, also mountable to cameras and binoculars. You can find a smartphone in the hands of almost anyone these days. 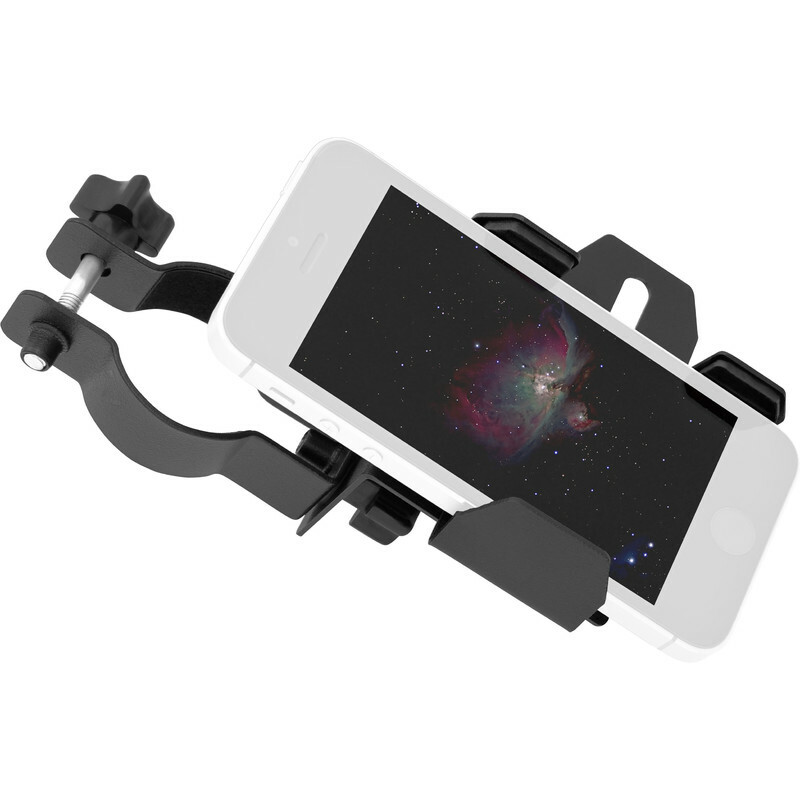 With the Omegon Smartphone Adapter you can take pictures of the Sun with ease. Align your phone with the adapter to the lens and photos of this special event are only a few taps away. Tips for newbies: the Bresser Solarix Telescope, as previously mentioned, is especially easy to use. 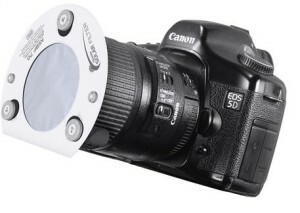 The telescope features a compact lens and azimuthal mount. A solar filter and a smartphone adapter round out the package. With it, you can follow and capture the fascinating event with your smartphone. The best part: it only costs 99 Euros.